One of the greatest things about wine is it brings people together. This is our story. 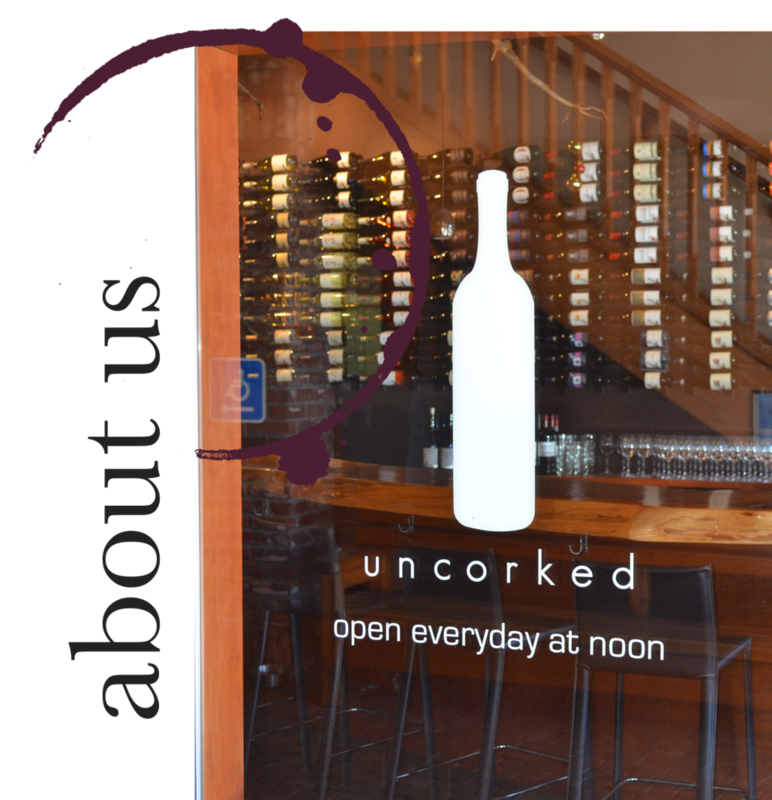 Uncorked Squaw was founded by Kaliope Kopley in February, 2007. Due to how well Uncorked was received both by locals and tourist, Soupa followed shortly after, a small cafe specializing in daily made fresh soups, sandwiches and quinoa bowls. Shortly after the opening of Soupa Kali met Marc and Debbie Metcalf. Together they opened up two more Uncorked locations in Tahoe City and Truckee along with Petra restaurant and retail wine shop in the village of Northstar. In 2015 Kali and Chris Barkman crossed paths while Chris was a Brand Manager for the Henry Wine Group. Shortly after, Kali met Chris’s wife Kelsey Barkman. Chris and Kelsey came on as the Operating Partners in January of 2017. They have a long background in food and wine with a strong combined skillset that’s ideal for the five businesses. Collectively our goal remains the same, to provide unique and interesting wines along with great food to the North Lake Tahoe Region and to continue being a gathering spot for the community that we give back to.